Michigan Urology is approaching its century mark, that is if you count back to when Hugh Cabot came to Ann Arbor in 1919. By that point in time Genitourinary Surgery, well established as a distinct practice specialty, was being called Urology. In fact Cabot’s landmark 2-volume textbook in 1918, one of the first and best modern encyclopedias of our field, was called simply “Urology” instead of the older terminology. (The other 2 “leaders and best” in my opinion were the Guiteras text in 1912 and the Young text in 1926.) After his return to Boston following service in WWI Cabot became disillusioned by the mercenary nature of his medical practice and imagined that a better career and life were possible. So he made a radical change of career and came to Michigan for the fulltime position (that is without a private practice) as Chair of Surgery. He was such a catch that the regents gave him the University President’s House to live in until he got settled. 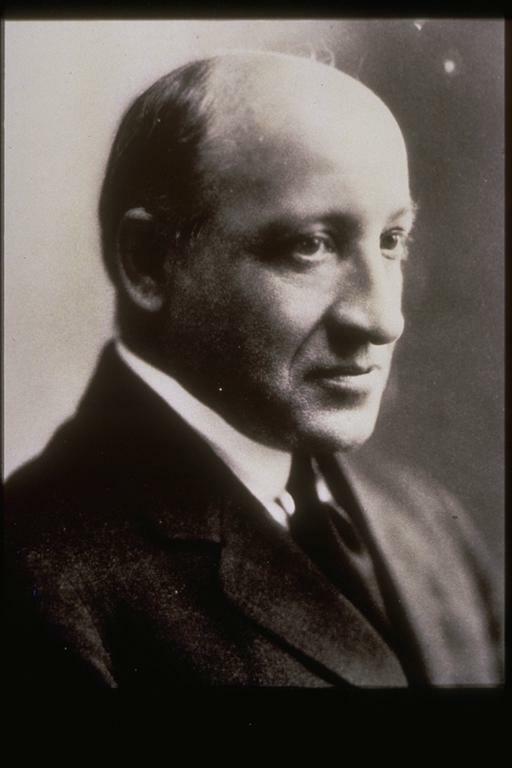 Cabot’s talents quickly propelled him to appointment as the Dean of the Medical School. He was the main force behind a revolutionary new University Hospital (1926-1986) and he built up a world-class faculty around great clinicians who changed their fields. 2. Cabot began to train urologists in Ann Arbor in 1926 when he brought Reed Nesbit from California and Charles Huggins from Boston here as his first trainees. The duo was an amazing first “residency” class. Nesbit innovated a modern approach to prostate surgery, trained a legion of leaders in our field, and rose to the heights of urology and surgery. When the U.S. Department of State needed the best of the best in urology to operate overseas on the head of a nation, they selected Nesbit. Huggins was no minor league player either – he won the Nobel Prize in Medicine in 1966 for his work on the hormonal basis of prostate cancer. 3. Cabot and his contemporaries ushered in a new paradigm of genitourinary surgery, or “urology” to use the more modern term, as the old era of the “clap doctor” and venereology passed into the archives of history. Nowadays we might call this process creative destruction. The new scientific ideas and technology provided better understanding of disease processes and better therapeutic solutions. Oddly, although our Department of Surgery has a Hugh Cabot Professorship, we still lack a Cabot professorship in the Department of Urology. That may be a retirement project for me, but first we need to install the Ed McGuire Professorship in Urology this summer for Gary Faerber. I am very grateful to those who helped fund this. Every nickel and dime helped. Then we will set about working on a Jim Montie Professorship and even after that we have a long way to go in terms of our goal of providing named professorships for all of our professors and associate professors. 4. Endowed professorships immortalize the rich history of Michigan Urology and each one lays a marker for the future with the story of an individual. By creating a modest but enduring funding offset for teaching, research, and leadership, these faculty create and maintain the Michigan Difference. The world economy, increasing regulation and industrial pressures are trying to “commoditize” our professional work. Universities additionally exert a heavy and increasing burden on their academic medical centers. At Michigan we have been successful in bringing some of the best and brightest medical students and residents into urology, and we have been successful at recruiting and retaining world class faculty here at Michigan. Keeping our game up will be tougher now that we have entered a new world order of health care organization and health care economics. The future is contingent on the Michigan philanthropic factor. The Department of Urology front office hallway is a small gallery of Michigan Urology, but it is incomplete, starting at the beginning since we lack a portrait of Cabot in addition to pictures of many of our other nationally visible graduates. In fact, all of our graduates are important in that they have propelled Urology forward and delivered great care to hundreds of thousands of patients for nearly 90 years. The pictures on the wall represent many of our graduates who became academic leaders, although the collection is unfinished with many more pictures to collect, frame, and place. The story of Michigan Urology is a great work in progress, but it needs updating and retelling now more than a decade since Jim Montie commissioned John Konnak and Dev Pardanani to produce the first edition of our history. This will be one of my next projects working along with Jim and Ed McGuire. A great part of the Michigan story is embedded in our endowed professorships with the names of faculty and alumni and friends of the department who have created a strong base for our success as leaders and best in training the next generation of great urologists and discovery that impacts urological disease and disability. The possibility for our continued and expanded success is contingent on the stewardship and growth of that base. 6. The AUA annual meeting in San Diego featured Michigan’s leaders and best at their best. Ed McGuire was honored as one of the Four Founders of his field at the SUFU Research Foundation Dinner and Quentin Clemens gave him an excellent introduction. Most of Ed’s fellows came from around the world to honor him – Australia, Ireland, Taiwan, among other places. David Miller organized the first Michigan Urological Surgical Improvement Collaborative (MUSIC) annual meeting which had an excellent turn out. Michigan was highly visible, with our students, residents, nurses, fellows, and faculty providing around 100 podium and poster presentations in addition to dozens of committee meeting participations. We had a very fine turn out as well for the Reed Nesbit Reception at the annual meeting of the American Urological Association in San Diego. Somewhere around 130 attendees set a new record for us. 7. What is the purpose of professional meetings such as ours? Some skeptics view them as boondoggles and carefree junkets. Perhaps this is the case in some fields, but this is hardly true in ours. In medicine, and urology in particular, professional meetings are the marketplace for ideas and talent. New ideas, presented by new faces along with established authorities, are heard and debated. The meetings glue together the participants of a profession and challenge them with novel ideas. Friendships are refreshed, new connections made, and anxieties are raised as younger presenters step up to podiums. Overall, these meetings are more enjoyment than stress and that’s a very good thing. It takes no major stretch of imagination to recognize that, as fun leads to serotonin release in the right places, raised consciousness often triggers new ideas that propel a field further ahead. 8. Professional organizations create standards for their members and context for meetings. Journals take transient ideas from those meetings and publish them for durable inspection. (We hope the electronic publications are equally durable to paper.) As new hypotheses and techniques are refined in print and inspected globally, challenges and alternatives develop that in turn will enter the marketplace of ideas at meetings the next year. The myriad possibilities of the future is contingent on this virtuous cycle. Academic medicine is the primary engine for incubating, testing, and disseminating new ideas and techniques, but academic medicine is terribly threatened by the corporatization and federalization of American health care. 9. The highest step in the academic ladder is the rank of Professor and this title was granted by the University to Cheryl Lee and Julian Wan. You may recall the details of some of their careers and recent accomplishments from the “What’s New” pieces they wrote earlier this year. David Miller became an Associate Professor and you probably were amazed at his “What’s New” as well. With this step David enters the realm of the senior establishment in the medical school and accordingly will start to grow gray hair or lose it like this correspondent. Academic promotions have to be recommended and approved by each departmental promotion and appointment committee, then by one of the three Dean’s Advisory Committees (the faculty vote on memberships for these), then by the Medical School Executive Committee (also elected by faculty vote), then by the Provost, and finally by the Regents. We also had two research investigators promote to Assistant Research Scientist: Jinlu Dai and Yun (Sean) Zhang. 10. The Nesbit logo. Our original logo, dating back to the founding of our alumni society, is striking and memorable in its red and black. I don’t believe it is incumbent upon us to stray drastically from the founders’ intent, but three problems exist with the traditional logo. First, the original needs a higher quality (more pixels) for electronic communications, so we enlisted the help of an excellent graphic designer (David Heskett). Second, no one could recognize the figure holding the matula. It looks like Thomas Moore, but that couldn’t have been the case (why not Nesbit’s profile, or that of his teacher, Cabot?). Third, While we like the black and red (which certainly stands out in the sea of maize and blue promotionals) how about adding at least a little blue and gold? Last month, the overwhelming preference of those who respond to our query as option C – as shown here. Your further thoughts are welcomed. 11. Speaking of logos, the UM this week announced a change in its official logo, adding our name explicitly to the block M.
12. We have made some changes to our leadership line up at Michigan Urology. Three superb associate chairs over the past 6 years have been responsible for most of our good decisions and successes, but some change is necessary for us as an organization. Stuart Wolf has been magnificent in managing the Surgical Services, but we clearly need equivalent oversight for our far-flung ambulatory activities. John Stoffel, currently Service Chief, is the natural choice for Associate Chair of Ambulatory Urology Services. Gary Faerber, having turned over the position as Program Director to Khaled Hafez, will expand his portfolio as Associate Chair for Education to cover medical student education, fellowships, CME, and global urology. Gary will oversee the integration of education into all facets of our mission. John Wei has done an amazing job in understanding the research budget and of course did me and our department great service as Acting Chair. He will pick up responsibility for our communications, marketing, and networking activities. I don’t have a perfect name for this but it will be simply something like Director of Communications, Marketing, and Networking (CMN). This will involve What’s New, our evolving web pages, videos, Facebook, etc. This work is a huge part of what I have been doing recently, but covering it inadequately so you can’t imagine my gratitude to John. That will open up Associate Chair for Research, which will shift to Brent Hollenbeck. As the first of the next generation of Division Chiefs, David Miller will take over from Brent as head of Health Services Research. 13. I have taken some time over the past few years to instill “What’s New” into the fabric of our department, something that I thought valuable and possible, but was contingent on the “buy-in” of our faculty, residents, staff, alumni, colleagues, and friends. For the most part I think it has been a successful experiment, although “What’s New” is always a work in progress that has changed somewhat over the past 6 years. With our new organizational line-up, John Wei takes over most of this as Director of Communications, Marketing, and Networks. While the weekly “What’s New” communication is mainly an internal departmental document, with more of a focus on daily operational issues, the first Friday of each month, such as today, is broadcast more widely to alumni, full staff, joint faculty, and friends of the department. I’ll retain the first monthly “What’s New” (WN) broadcast so John can have one Friday off a month. 14. We have noticed four downsides of that first Friday WN. As its distribution has grown larger the enlarging email list has become cumbersome and finicky. Email-based reading that requires more than cursory attention is likely to be inconvenient for you at the moment you open it and big emails, like WN, clutter up accounts. Lastly, big emails don’t archive easily and this is especially true for this first of the month WN broadcast. Thus we’ve placed the First Friday WN into a blog at MatulaThoughts.org where it will sit as an accessible repository, although we will continue the email version in parallel for a time. With all the changes in climate, world economy, and health care the good news is that we keep hatching great generations of minds to take on the challenges. Out of our graduating class this year of nearly 170 UM medical students four are going into urology, each at excellent programs. Sarah Hecht will go to Portland, Nirmish Singla to Dallas, Adam Gadzinski to San Francisco, and John DeLancey to Northwestern in Chicago. They are eligible to be members of the Nesbit Society having gotten their start here in Ann Arbor, according to our recent bylaws change and we hope to see them regularly at the AUA Nesbit Reception and at other times as they continue their careers in urology. 16. All training programs struggle trying to balance the daily crush of clinical demands and the didactic aspects of residency education. The traditional journal club has seemed problematic from my days as a resident at UCLA, through my time at Walter Reed, and then here in Ann Arbor. The increasing scale and geographic spread of our clinical activities has further compounded the problem of getting a reliable critical mass of faculty and residents together regularly in one place to consider new ideas in the literature. This upcoming academic year we will try to put in place an electronic journal club and invite your ideas and participation as we organize this. As a head start, consider three short pieces from JAMA. 18. Electronic journal club #two. The second article is an analysis of persuasion, something that is essential to the job of a physician, but can be done rightly or wrongly. The author produces a useful framework for clinicians. [D Shaw, B Elger. Evidence-based persuasion. JAMA 309:1689, 2013] The authors believe that “persuasion is an essential component of modern medical practice, and it may be impossible to respect patients’ autonomy without engaging in persuasion.” They describe 3 different types of persuasion; a.) removal of bias, b.) recommending options, and c.) creating new biases. They suggest that bias may or may not be “permissible” and it is context that determines appropriateness. Six criteria are offered to ascertain that context, and you can find these listed in this short article. 19. Electronic journal club #three. The next seems to be more genuinely bad news in the form of new regulatory schemes, even if well-intended, from our regulatory organizations. [The clinical learning environment. KB Weiss, JP Bagian, TJ Nasca. JAMA 309, 2013] The authors state: “The next step in the evolution of resident physician training is the Next Accreditation System (NAS) which is now being implemented by the ACGME … The Clinical Learning Environment Review (CLER) program is the first component of the NAS to be operationalized nationally.” This will require cycles of CLER visits to each program every 18 months. While regulation is obviously necessary in a free society, over-regulation creates a burden of administration and administrative expense that stifles autonomy, hinders the real daily work in the workplace, and wastes resources creating reports and rehearsals for the theater of those regulatory visits. 20. All local problems do not require national regulatory solutions. The Joint Commission (TJC) is another example where a well-intentioned regulatory organization becomes terroristic. Few can deny the terror imposed by the disruptive announced and unannounced inspections that cost many millions of dollars yearly to our organization alone. A sidebar industry of consultants and mock-visits has sprung up to help fearful hospitals prepare for TJC (formerly known as the Joint Commission on Accreditation of Healthcare Organizations, or JCAHO) accreditation cycles. In an organization with millions of simple and complex patient transactions it is easy to find mistakes and areas for improvement. Of course we need public scrutiny and wise oversight, but failing to find gross systemic glitches or blatant dangers in the workplace, most inspections seem intent on finding nit-picking criticisms. The burden of structures and oversights on health care education and health care itself is truly excessive, and the idea proposed by Weiss, Bagian, and Nasca seems to me to be more of the same. Almost all organizations follow a Darwinian path to justify their existence and claim a stronger niche, so they explore or create needs in the environment. Unchecked, however, they will strangle the workplace and bring the real work of the gemba to a snail’s pace. That may be fine for a snail, but it’s not so great for the human potential. 21. August Johnann Rösel von Rosenhof (1705-1759) was a German naturalist and miniature painter who is believed to have first discovered the microscopic amoeba in 1757 although it was Jean Baptiste Bory de Saint-Vincent (1778-1846) a French naturalist who came up with the name “amibe” from the Greek term for change “amoibe.” Amoeba proteus has 290 billion base pairs, rather a large number compared to the human genome with 2.9 billion base pairs (one wonders if phylogenic ascent requires some genomic leanness). These single celled animals move by pseudopodia as they explore their environment and the “false foot” that encounters the most inviting micro-environment gets the “vote” of the endoplasm that follows it. 22. The amoeba presents a nice metaphor for the departmental electronic journal club. As faculty, residents, or other participants (Nesbit alumni and friends of the department) explore the micro-environments of various journals and books so as to report them back to us, our corporate intellectual endoplasm can follow and be enriched by the most inviting new concepts and ideas. 23. The future is contingent on innumerable factors, many within our control and many way beyond. While prediction capability and warning systems are good and improving, we need to keep our ears open & our eyes looking out the window. Indeed all of our senses and pseudopodia must attend to the environment around. 24. Our local environment is of particular interest, and the proposed (but recently “shelved”) merger of the Henry Ford System (previously an academic partner with us at UM) and the Beaumont System is especially notable. We have great Nesbit alumni working in both organizations, and at Beaumont two have held major leadership positions. Ananias Diokno has been CMO & executive vice president since 2006 and just retired June 1. David Wood, left our facility a little over a year ago to serve as president of the Beaumont Physician Partners, and he is the new CMO of Beaumont Health System. 25. This is the 8th year for the Michigan Men’s Football Experience (MMFE) which is our main fundraiser for prostate cancer research. The MMFE began in 2006, as a way for a grateful patient to honor the doctor who performed his lifesaving surgery. The patient was U-M Athletic Director Dave Brandon, then CEO of Domino’s Pizza, Inc., and his doctor was James E. Montie, M.D., the founding chair of the U-M Department of Urology (before then we were a Section of Urology in the Department of Surgery). Brandon, a former Michigan football player coached by Bo Schembechler, conceived the idea. Coach Lloyd Carr turned it into reality with an off-season 48-hour window in the life of the Michigan football team for a contribution to prostate cancer research. In 2011, Coach Brady Hoke gave a resounding yes when asked if he would continue the tradition and host the Michigan Men’s Football Experience. The two day event began yesterday with the traditional pre-game football dinner at the stadium’s Jack Roth Club with participants and coaching staff including Brady Hoke and Gary Moeller. Dave Brandon, Jim Brandstetter, Dan Dierdorf, Ganesh Palapattu, and Robert Soderstrom were the speakers. 27. Graduating Chief Residents: Jon Ellison will be doing a Laparoscopic/Endourology Fellowship at Bristol in the United Kingdom and plans a pediatric urology fellowship the following year. George Schade is going to the University of Washington in Seattle for an Oncology Fellowship. Ray Tan will join the Robert Wood Johnson Clinical Scholars Program / Oncology Fellowship at the University of California Los Angeles. Gareth Warren will complete a Genitourinary Reconstructive Fellowship at the University of Iowa. Fellows: Rob Jackson was with us the first 6 months for a fellowship in sexual reproductive urology with Dana Ohl and then joined Mountain States Urology in Boise, Idaho this year. Chris Filson is completing his NIDDK T32 Clinical and Translational Research Training in Urology in Health Services Research and will be going to UCLA to complete an Oncology Fellowship alongside Ray Tan. Bruce Jacobs completes an Oncology and Endourology Fellowship and will be joining the University of Pittsburgh faculty. Tomorrow evening is our graduation dinner for this fine group. 28. Coming on board with us when our chiefs leave are PGY1 Residents: Indraneel Gowdar from Case Western Reserve School of Medicine, Amy Luckenbaugh from State University of New York at Buffalo, James Tracey from the Medical College of Wisconsin, and Yooni Yi from the University of Florida College of Medicine. Fellows: Nina Casanova will stay with us for a two-year Pediatric Urology Fellowship. Paul Womble, a current Naval officer completed his urology residency from the University of Kansas Medical Center will join us for a two-year Oncology Fellowship. Lindsey Menchen is joining us after completing a Urology Residency from the University of Pennsylvania for a Neurourology and Pelvic Reconstruction Fellowship. AbdulRahman AlRuwaily is coming from Saudi Arabia for an Endourology Fellowship. 29. Last month our internal weekly “What’s New” profiled Daniela Wittmann our Social Worker, Vesna Ivancic in the Pediatric Urology Division, and an update on the Urologic Oncology Division directed by Ganesh Palapattu. Website: http://www.med.umich.edu/urology/about/MonthlyNewsletter.html. a.) The inauguration of the Edward J. McGuire Research Professorship in Urology will be on Tuesday, June 25 at 4:30 PM at the BSRB Kahn Auditorium. Gary Faerber will be the first recipient of the McGuire Professorship. A reception will follow in the Omenn Atrium. We hope for robust departmental participation. b.) Thursday, July 18, Chang Lecture on Art & Medicine, 5:00-6:00 PM with reception following, Ford Auditorium, University of Michigan Hospital, Ann Arbor, MI. Dr. Richard Prager, Professor of Cardiac Surgery and Head, Section of Adult Cardiac Surgery, University of Michigan Medical School, “Art as an Expression of the Human Condition.” Flyer attached. c.) Friday, July 19 Duckett/Lapides Lectureships, 9:00 AM-12:30 PM, MCHC Auditorium, Ann Arbor, MI. The visiting professors are Dr. Thomas Kolon, Associate Professor of Urology in Surgery from the Children’s Hospital of Philadelphia (Duckett) on “Cryptorchidism and Germ Cell Preservation” and Dr. Wayland Hsiao, Assistant Professor of Urology at Emory University School of Medicine (Lapides) on “After childhood fertility preservation, what are the state-of-the-art options.” Flyer attached. d.) Thursday, October 17 and Friday, October 18, Reed Nesbit Urologic Society Meeting, North Campus Research Complex, Ann Arbor, MI. Saturday, October 19 U of M vs. Indiana in football, Michigan Stadium. Visiting Professor will be Dr. Raymond Costabile, Professor of Urology at University of Virginia Medical Center. Best wishes, and thanks for spending time on “What’s New” this June weekend.